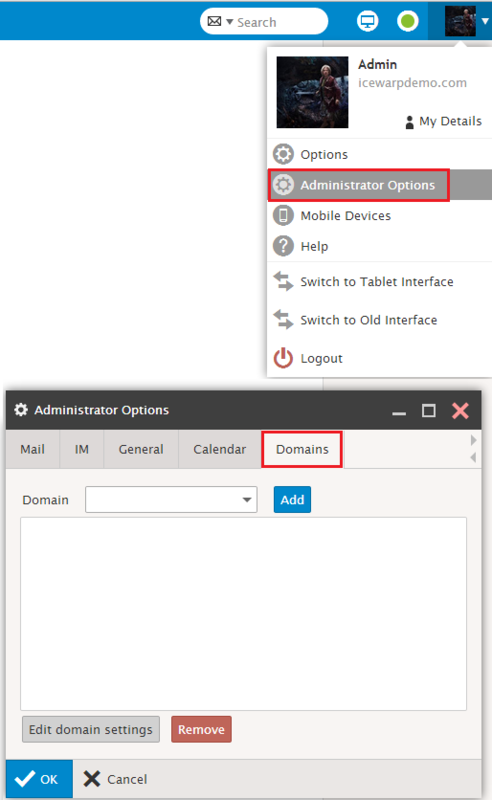 If you have more domains you may want to enable the customization so you can have different logos, titles, enabled/disabled Calendar, etc. for different domains. 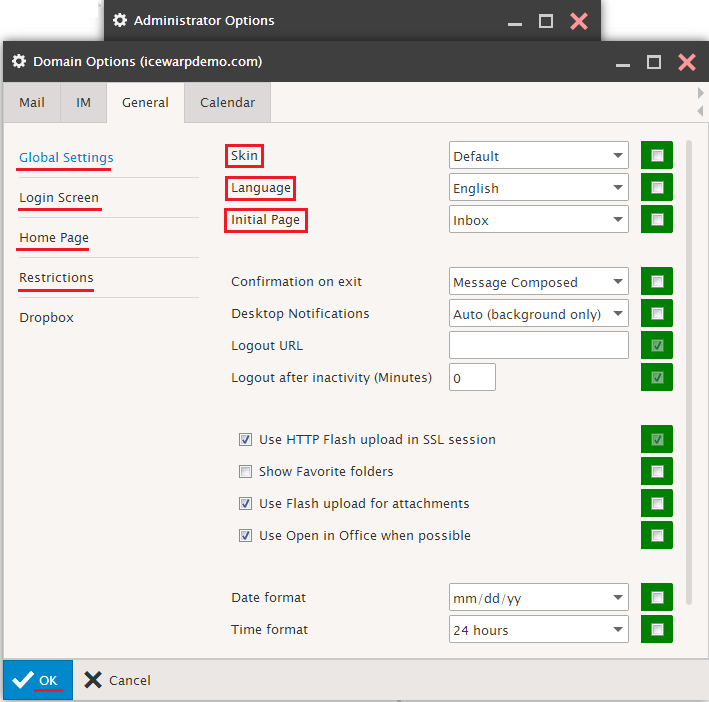 Open the drop menu, and select your desired domain. Then click on the "Add" button. 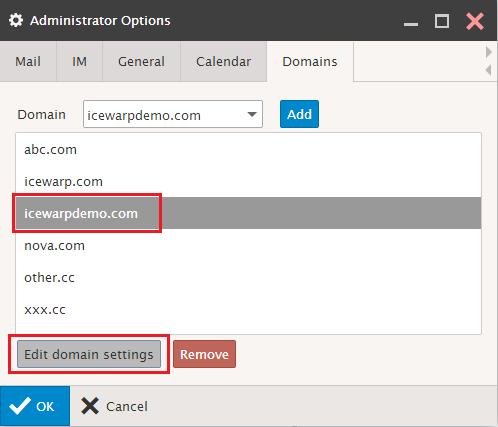 You can choose which domains you want to change and then edit any settings you want. 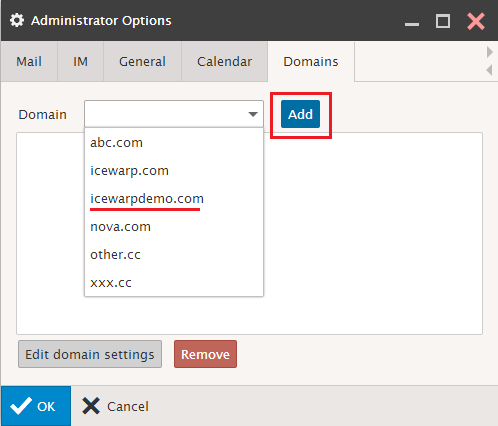 Now you can customise as you want every domain needed.